"Gorgeous new house. Built with care and pride. This house has it all, Big spaces all around big bethrooms and bathrooms, huge closets, pleny of room for storage, Granite counter tops, tile and first class laminate floors, No carpet! Made with love and thinking of you! 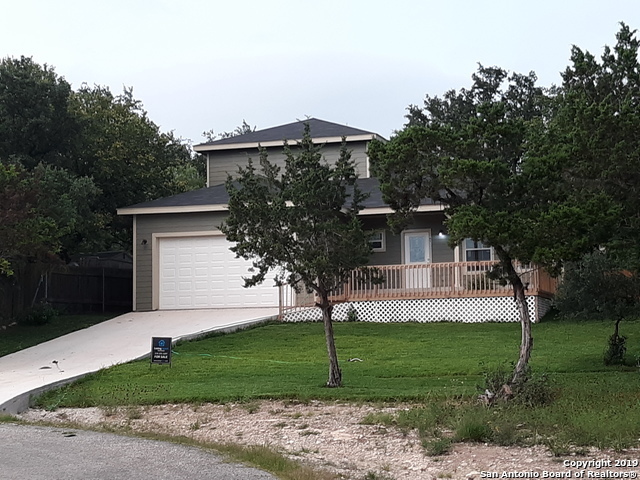 Enjoy the hill country living from its beautiful and extra large deck, convenient 2.5 bathrooms, kitchen island, double porch, sliding door. Take advantage of the 281 Hwy expansion, Canyon lake properties are on the raise."